There are various reasons for the decision: at the centre the apparent lack of track time. It is said that only three drivers have ever drove with the Halo on track and even then they have only completing four laps. 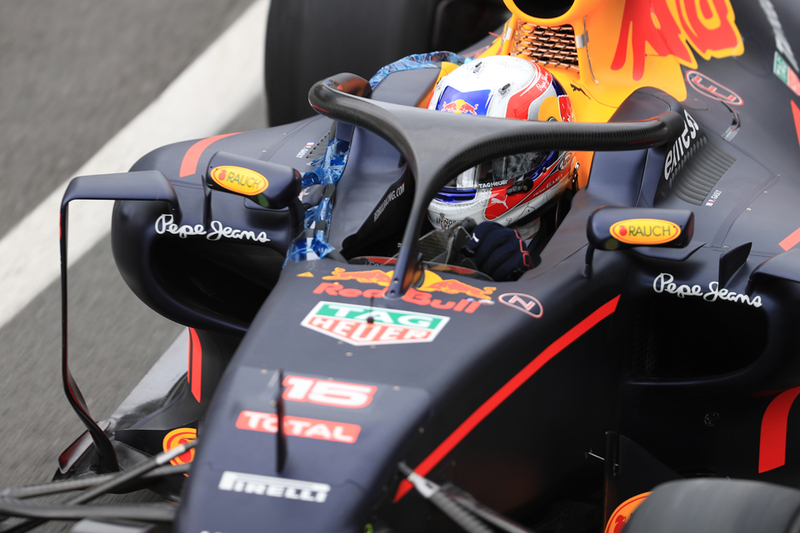 According to Charlie Whiting, Red Bull could not run the Halo for more than two laps before it affecting cooling for the engine or the gearbox. Secondly, there are concerns about visibility at the likes of Eau Rouge at Spa or under the lights in a night race. To this end there is a feeling that it would be better to give all drivers an opportunity to sample the Halo in a real-life situation, such as in practice, before making a final decision. At the same time the alternative solution, the Aeroscreen, has not gone away. More elegant than the Halo, it has been argued that, if developed further it could offer even more protection to the driver. Therefore dismissing such a proposal without exploring the extent of its advantages would be foolish. The truth is that both devices have pros and cons. Until one can be proven to offer more safety than the other, it is only right that there is more thorough testing and development - especially should there be any more unforeseen problems. Who knows what the final iteration will look like? May there be a compromise or an entirely new concept? Let's just hope that whatever emerges in 2018 is robust, highly effective and widely accepted. Any improvements to the car will not fully eradicate danger alone. Instead it is also important that steps are taken to reduce unnecessary risk. 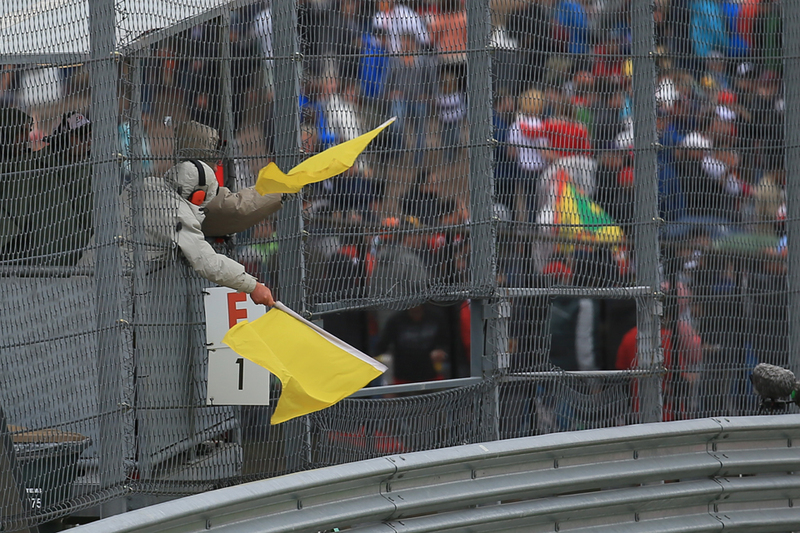 The climax to qualifying in Hungary proved divisive and brought into question the use of double yellow flags. While Rosberg was able to capitalise where others couldn't (lifting momentarily), there are still question marks as to whether he slowed enough. But how slow is safe enough? How does anyone quantify a significant lift? It is clear that each driver will have their own opinion depending on how each incident affects them. For example those who lose out will always complain about those who take advantage and vice versa. Therefore, it is unsurprising to see the FIA introduce new rules to qualifying where any incident deemed to require double yellows automatically results in a suspension. Though it could be argued that the governing body could have avoided this by tightening the rules – for example introducing an automatic VSC-style delta and having a no-compromise approach regardless of circumstances – the changes place such situations out of reach. The decision was also taken to scrap the controversial radio ban forthwith, opening up all radio transmissions between teams and drivers - barring the formation lap and start. 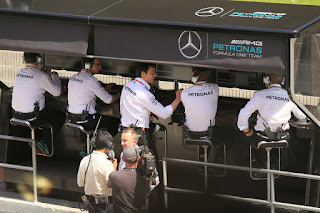 Although the move may frustrate those keen to eliminate coaching, it does restore another dynamic to broadcasts and brings to an end the possibility of teams being unsure what constituted a legal or illegal message – for example Sergio Perez in Austria or Jenson Button in Hungary. Again, nobody wants to see drivers coached around a lap, but there are suggestions that this is becoming a thing of the past and that teams have now ironed out some of the early complications presented when the rules were first introduced. Either way, Formula One remains a team sport and this should not be abandoned. 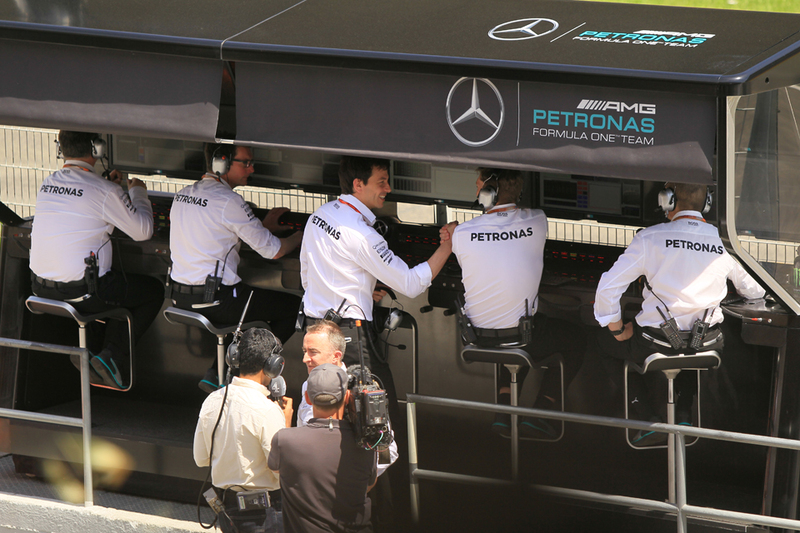 Further, there may still be scope for the FIA to introduce a level of moderation going forward or mandate teams to simplify options on the steering wheel. Finally, the group agreed changes for next season, including the ban on teams being able to alter their cars between a race being reflagged and restarted - something generally accepted as fair. Moves were also made to reduce the prolonged use of safety cars at the start of wet Grands Prix. As discussed previously, the beginning of the British Grand Prix was blighted by a lack of standing start and a prolonged caution period. Under new proposals for 2017, drivers will now circulate behind a safety car before lining up for a full standing start when conditions are acceptable. 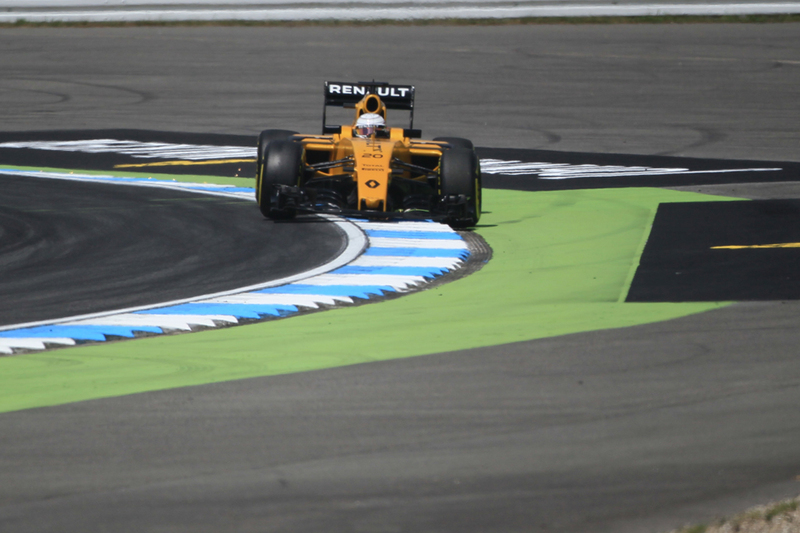 The move is slightly artificial and does not reflect a vote of confidence in the current Pirelli wet weather tyres. However it does appear the best solution in the current environment. It does remain strange however that track directors are happy to delay qualifying, despite television schedules, yet not the start of a race – especially when rain showers are only temporary? Surely such a delay would negate the need for such a procedure to only be used as a last resort? Overall the changes outlined at last week's Strategy Group and thereafter can only be seen as positive. Although they do not please everyone and contain some obvious flaws, they are a step in the right direction to improve safety. It is a shame then that this sense of unity cannot be carried over when it comes to other issues such as track limits. This issue demands an article in itself. However, why anyone would believe the Governing Body would wish to hand drivers a 'free-for-all' when it is trying to increase driving standards up and down the motor sport ladder is contentious. Quite clearly track limits should be respected. There are clearly corners where drivers take liberties thanks to the inclusion of tarmac run off areas or flatter kerbs. Whilst highly effective at stopping drivers gaining extra time, the day of grass and gravel traps are sadly long gone and thus another, safer, option must be employed. Yet again, this matter is being resolved using common sense and the FIA must be applauded by sticking to its guns - maintaining the liberal view at the start of a race, when cars are bunched together, but taking a tougher stance thereafter, including the introduction of more sensors and the three-strike rule. Nobody should make it any easier for any of the drivers, after all these highly skilled individuals who can drive hard but fair – as demonstrated on the opening lap in Hockenheim, which passed with no retirements or the need to run wide. At the same time the run offs should be there to help encourage overtaking. Such was the case with Rosberg and Verstappen on Sunday. Whether or not the penalty was justified, the fact that the former even attempted such a late move was down to having safer surroundings. Without tarmac around the outside, Verstappen would not have been able to retaliate and may have found himself in difficulty.